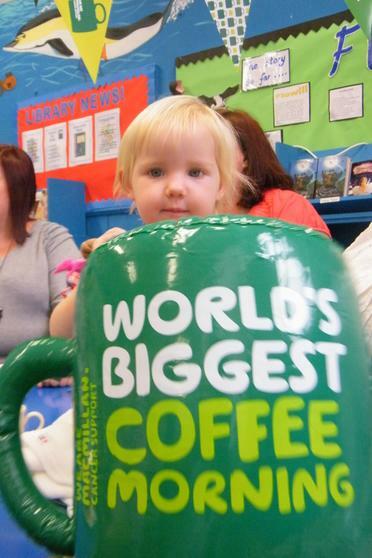 The Millbank Mums organised a special event in the Library as part of Macmillan Cancer Support'sWorld Biggest Coffee morning. 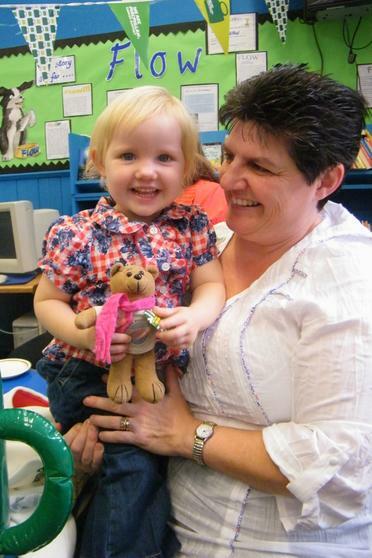 They managed to raise £50 for this great cause. 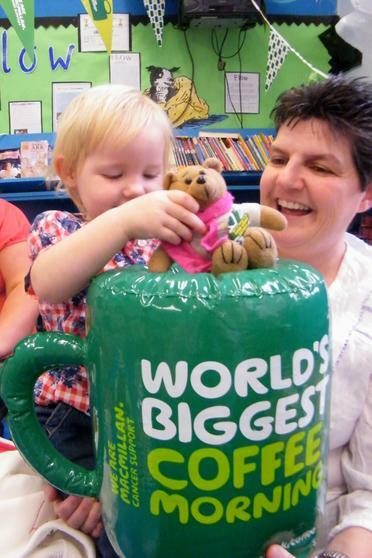 Macmillan Cancer Support helps improve the lives of people affected by cancer, both those living with cancer and also their families and carers. Today, more people in the UK are living with cancer and one in three of us will get cancer at some point in our lives. Cancer affects us all and we can all help to make people's experience of it better. 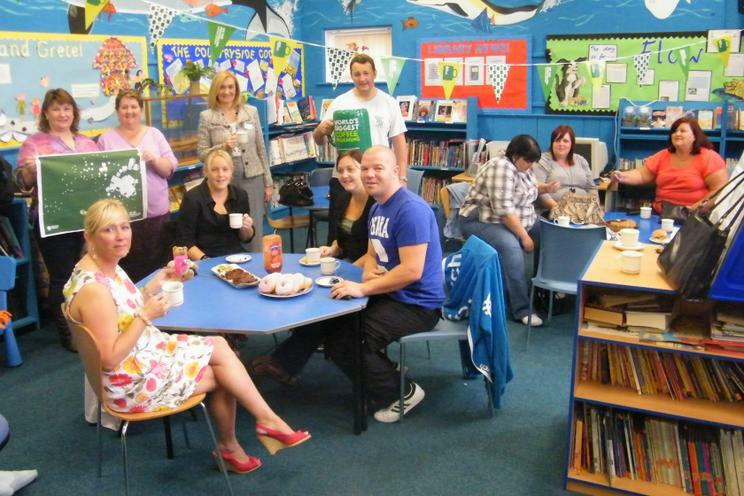 The Millbank Mums meet every monday for a cuppa and a chat and form an important part of the school community. 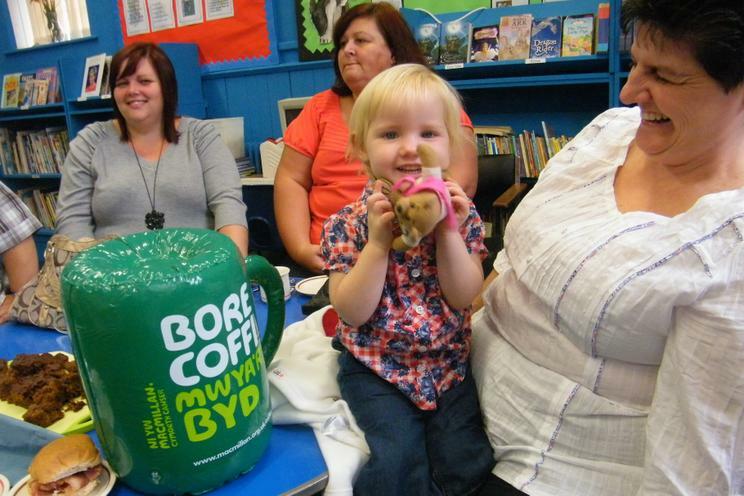 The Millbank Mums supplied the Fairtrade coffee and tea and Ross's mum baked a fabulous cake that was amazing! 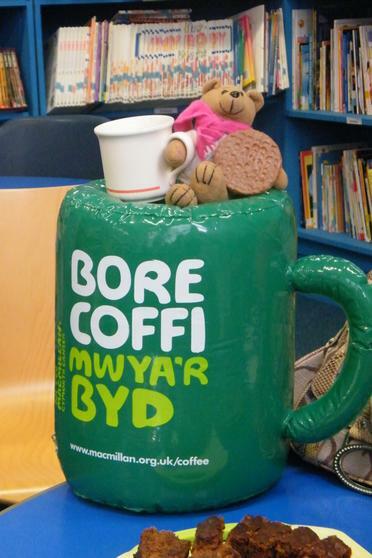 We would like to say a big thank you to the staff at the Ely Tesco Express on Cowbridge Rd West. 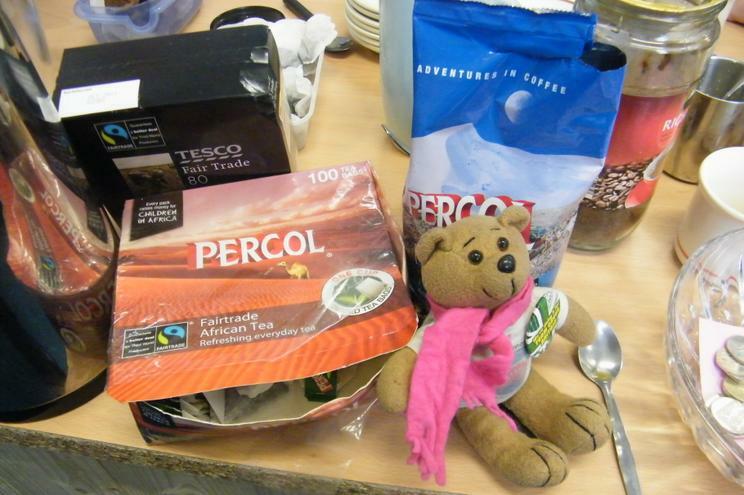 They are always very keen to support the community and they kindly supplied the Bacon rolls, butter & milk. 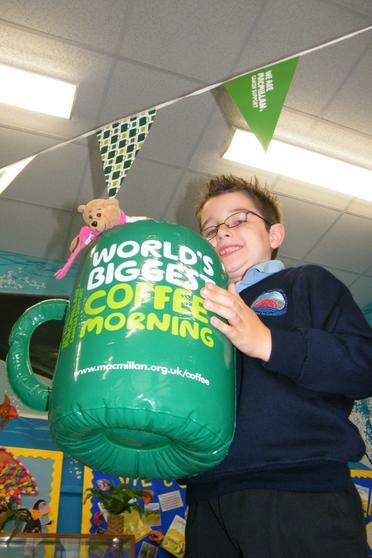 You can see last year when they helped the children of the school council raise £320 for the Haiti Earthquake. 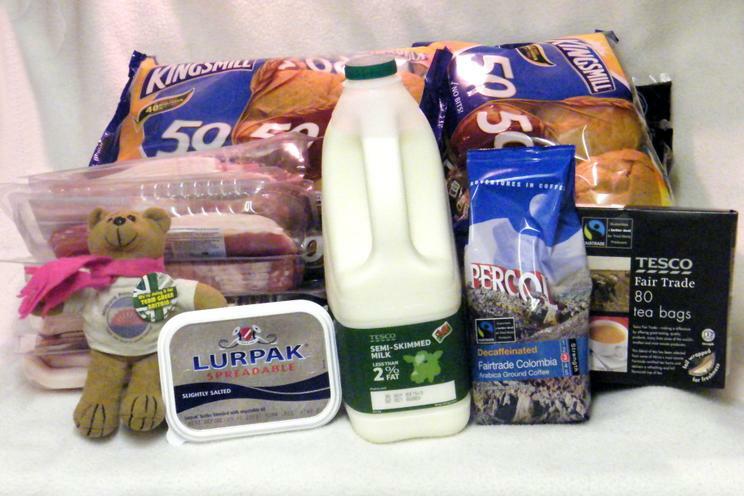 We always try and use Fairtrade products where possible as it means we are not only helping raise funds for important causes but we are directly helping those farmers and communities around the world that supply to the Fairtrade products. 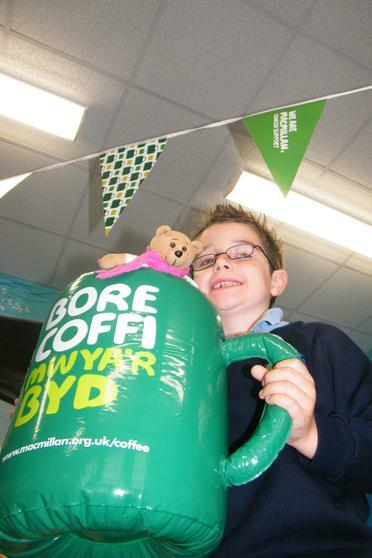 Why not visit the Fairtrade Wales website or visit the Fairtrade Foundation at Fairtrade.org.uk. 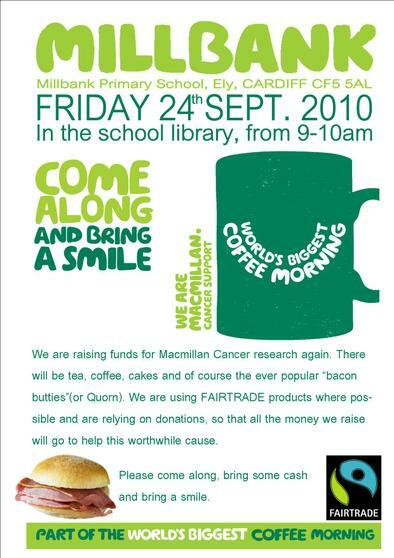 You can see one of the other coffee mornings that we held way back in 2006 when the school raised £125. 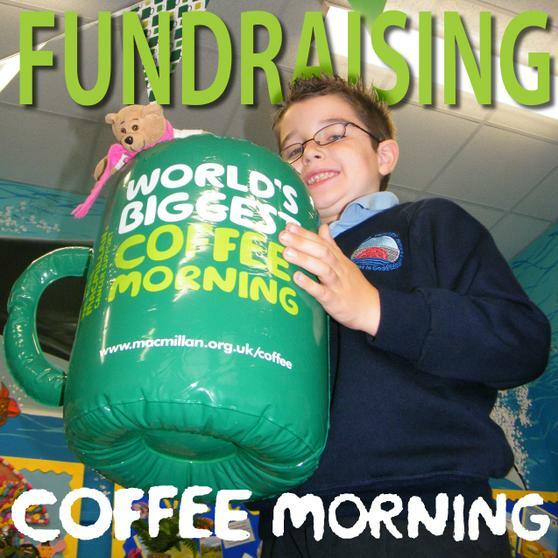 Of course there are lots of other fundraising activities that we do.